Dwight Smith has created an album of wonder; one driven by the complex emotions that inherent in being human and the addictive desire to create. 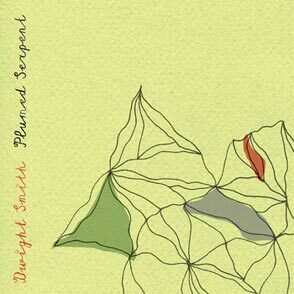 Plumed Serpent is a singer-songwriter work to be admired, not only for it’s intricate nature, but for Smith’s ability to blend vibrant bridges with fragile harmonies. The album is quick, comprised of only two songs, but they are two songs worth noting. The quiet and folksy sound to Smith’s work is haunting. “Ruins” exists only with mesmorizing guitar chords and introspective lyricism, “How did I get this way/How did I get this way/Please tell me that you’ll stay.” The album’s title track moves slowly; with softly crooning backing vocals it is a short look for love and meaning. The layers of vocals combined with minimalist compositions are light and the at times sympathetic, at times longing atmosphere one that displays Smith’s desire for a resolution to his emotions. One has to be hopeful that Smith will continue on his current path. His music seems to be void of any desire to create something that is not 100 percent meaningful to him and that is a truly admirable quality.